Johns Hopkins employs more than 20,000 people annually across our health system. When joining Johns Hopkins, you became part of a diverse organization dedicated to its patients, their families, and the community we serve, as well as to our employees. Career opportunities are available in academic and community hospital settings, home care services, physician practices, international affiliate locations and in the health insurance industry. Great careers continually advance here. 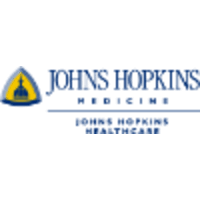 The Johns Hopkins Hospital Children’s Center is seeking a Pediatric Oncology Clinical Pharmacy Specialist. The Clinical Pharmacy Specialist will be responsible for the provision and oversight of pharmacotherapy for pediatric patients with a variety of oncologic diagnoses. The Clinical Pharmacy Specialist will work to help coordinate care collaboratively with the multidisciplinary health care team which includes physicians, nurses, social workers, dietitians and other pharmacists. They will provide drug information and education to patients, students, residents, pharmacists, and other health care practitioners. They will serve as a preceptor for pharmacy residents of ASHP accredited PGY-1 pharmacy practice and PGY-2 specialty practice programs. Faculty appointments are available through affiliations with the College of Pharmacy at the University ofMaryland and the Johns Hopkins University School of Medicine. Additionally, thesuccessful candidate will support drug research conducted by the institution and seek toassume a leadership role in the profession of pharmacy. Preferred qualifications for this position include the completion of the Pharm.D. degree and a specialized residency in Pediatrics. Competitive salary and benefits accompanied by support for professional development activities. Minimum Requirements: Preferred qualifications for this position include thecompletion of the Pharm.D. degree, a generalized residency in Pharmacy Practice and a specialized residency in Pediatrics.